In the early 1980’s, the AT&T Byron Nelson started looking around for a new venue for its tournament. Given the need for fan parking and the anticipated move to corporate hospitality venues, the time had come to move on from Preston Trail Golf Club. Las Colinas was situated right next to DFW Airport and had plenty of available raw land around for parking, staging, etc. The Las Colinas Sports Club was built in 1967 and maintained in anticipation of a recovery in real estate prices and the eventual build out of a resortThe course was just sitting there waiting for something to happen. Once the target of Las Colinas Sports Club was established, a group of Salesmanship Club of Dallas members went to see Ben Carpenter. Morris Hite, Art Barnes, Tommy Stewart and Mike Massad, Sr. were charged with convincing Mr. Carpenter to agree to host the AT&T Byron Nelson. It was not an easy sale but, after some time, Ben Carpenter agreed to sign on. At that time, Las Colinas Sports Club’s golf course only really had Mesquite trees. To remedy this problem, the Las Colinas Company brought in 200 trees to plant on the course to give it a better look. The staff had put so much water on the course to get it green that is was very, very soft. When the time came to put in the 200 trees, the PGA TOUR’s head of agronomy, Allan MacCurrach, advised against moving heavy trucks across the fairways to get the trees to their respective planting sites. He did not want big ruts in the fairways right before the tournament. Not to be deterred, the Las Colinas Company just had the trees moved into position by helicopter. A funny story from that first year involved Jack Nicklaus. It seemed that Mr. Nicklaus did not have the proper credentials to get into player parking at the sports club. After being turned away, he drove one block south on MacArthur Boulevard and parked in an open field, which today is the shopping center with Via Real and Tom Thumb. He opened his trunk, slung his clubs over his shoulder and walked to the sports club. Looking a lot like Jack Nicklaus and carrying a MacGregor bag with Jack Nicklaus written on it convinced the security guards on the second try. To give you a better perspective, in 1983 there were very few hotels other than the Mandalay Four Seasons. There may have been a few motor hotels (i.e. motels in 1960 vernacular) but not the higher-quality facilities that PGA TOUR players were accustomed to using. There were virtually no restaurants on MacArthur Boulevard between Highway 114 and the sports club. One of the reasons for the lack of restaurants is that Las Colinas was part of the City of Irving and until 1983 the City of Irving was dry — meaning you could not serve alcohol unless you were a private club. This proved to be a costly burden on restaurant owners. The law was amended in late 1982 in a city-wide election. Restaurants began to come to Irving after that, albeit rather slowly. 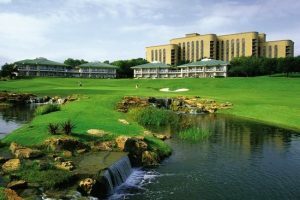 In those first few years, the Byron Nelson Classic was held at the Las Colinas Sports Club, a Robert Trent Jones, Jr. design with nine holes east and nine holes west of MacArthur Boulevard. Improving the original golf course was a consistent goal. with Deane Beman, PGA TOUR commissioner, and Vernon Kelly, president of PGA TOUR Properties, a deal was struck for the Las Colinas facility to be the very first licensed Tournament Players Club (TPC) in the United States. Prior to this agreement, all Tournament Players Clubs were owned by PGA TOUR Properties. The Las Colinas facility would be owned by the Carpenter family entities and they would pay the PGA TOUR a fee for the TPC designation. New holes were added east of MacArthur Boulevard, known as the TPC Course, and new holes were added west of MacArthur Boulevard, to henceforth be known as the Cottonwood Valley Course. The entire construction project took place between the 1985 Byron Nelson and the 1986 Byron Nelson. For those history buffs out there, the holes on the other side of the canal on the TPC course were added in the TPC renovation. That land was originally part of the Carpenter’s Hackberry Creek Ranch. GTE’s old office site sits on the Carpenter’s old ranch as well. On the Cottonwood Valley side, the holes 2 through 10 were added in this project on land that was originally leased from Northlake College. That land is now owned by the property owner. 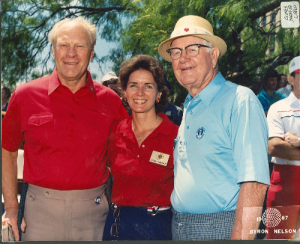 With the new TPC course and a new 315 room hotel (opened in 1985), the AT&T Byron Nelson now had wonderful facilities that set it up to grow in place for many years to come. 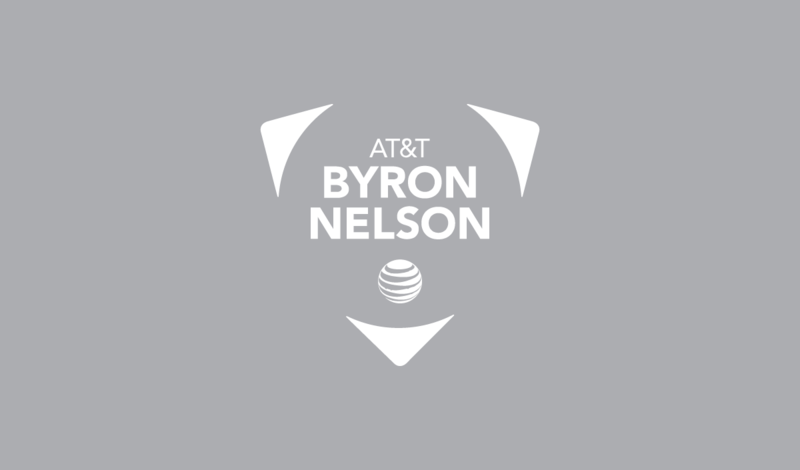 As expected, the move to Las Colinas inspired some new entertainment events to make the AT&T Byron Nelson an event to remember. In that very first year, Bob Hope came, Mitzi Gaynor entertained everyone at a gala event and Glen Campbell sang at the Dallas Convention Center. The Pavilion, which was essential during the Preston Trails years, was enlarged and enhanced. Given the lack of other eating establishments in Las Colinas in the mid 1980’s, the Pavilion become an entertainment mecca for the AT&T Byron Nelson. The venue then not only attracted fans but many of the players would drop by to listen to the music or interact with the fans. The AT&T Byron Nelson had been somewhat clairvoyant in foreseeing the changes coming to the PGA TOUR. The tournament had its first corporate skyboxes in 1986 and its first corporate title sponsor, GTE, in 1988. The 30 years from the mid ‘70’s onward was a boom time for professional golf. In 1978, the total purse for the tournament was $200,000. By 1983, it had reached $400,000. It hit $750,000 in 1988 and surpassed $1 million in 1989. In 1998, it hit $ 2.5 million. By 2005, the purse had reached $6.2 million. Corporate sponsorships and client entertainment were becoming essential for the survival of a PGA TOUR event. Continued improvement of the golf infrastructure was also required to keep up with the times. Is home course an advantage?